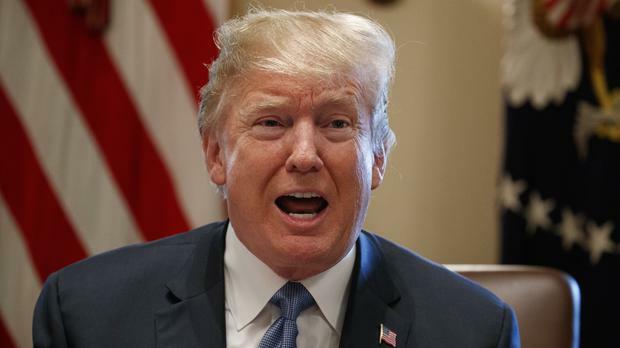 US President Donald Trump has threatened a 20pc tariff on cars imported from the EU unless the bloc removes import duties and other barriers to US goods – escalating a global trade war the EU warned could endanger $300bn (€257bn) in commerce. “Based on the Tariffs and Trade Barriers long placed on the US and it great companies and workers by the European Union, if these Tariffs and Barriers are not soon broken down and removed, we will be placing a 20pc Tariff on all of their cars coming into the US. Build them here!” Trump said in a tweet on Friday. The EU planned to retaliate, according to a European Commission memo obtained by Bloomberg. “An introduction of US tariffs would be met with equivalent penalties imposed by affected trading partners,” it said. Shares of Volkswagen, Daimler and BMW fell in Frankfurt, and US car companies retreated after earlier gains. Trump’s tweet came hours after the EU imposed tariffs on about $3.3bn of American products in response to his barriers to imported aluminium and steel. The European tariffs target politically resonant products, including 25pc duties on Harley-Davidson motorcycles, Levi Strauss jeans and bourbon. The EU measures cover a total of around 200 categories, also including various types of corn, rice, orange juice, cigarettes, cigars, T-shirts, cosmetics, boats and steel. Trump’s latest salvo against the European car manufacturing industry threatens to broaden a trade war he’s already sparked with China.